“What’s wrong?” Gesikhouwa’s friend called out. Gesikhouwa had been harvesting bananas when she fell suddenly as something moved beneath her foot. 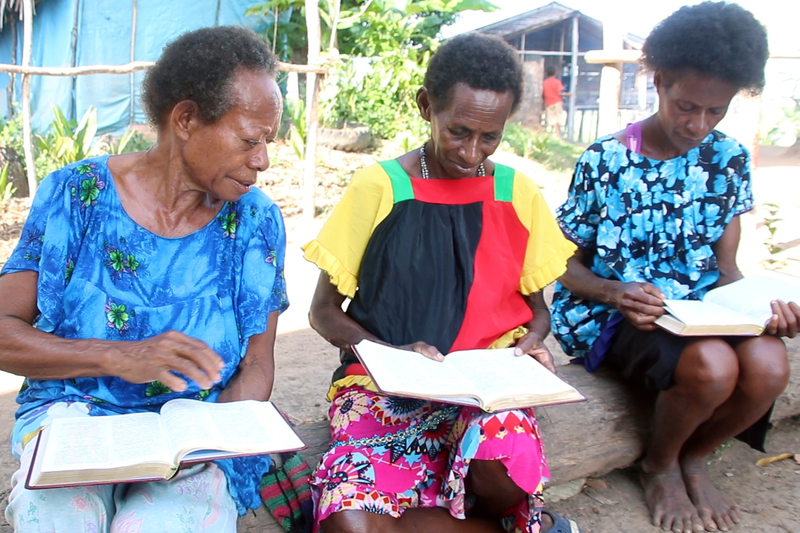 “I stepped on a Papuan black snake,” she replied. Shaken, Gesikhouwa stood, picked up her knife, and continued her work, cutting a final bunch of bananas before starting down the path to where the canoes were banked. One foot behaved as normal, following the path, but she couldn’t keep the other from stepping into the jungle. Then her vision began to cloud, and she fell, staying conscious just long enough to yell for help to the woman walking in front of her. Her neighbors loaded her into a canoe and paddled quickly towards home. In the middle of the lake, as the powerful venom worked its way through her body, Gesikhouwa had a vision of woman coming to her, calling her by name, and telling her she would not die. Over the next few days, while she was recovering in the hospital, person after person tried to convince Gesikhouwa that the snake bite was a result of someone placing a magic curse on her. 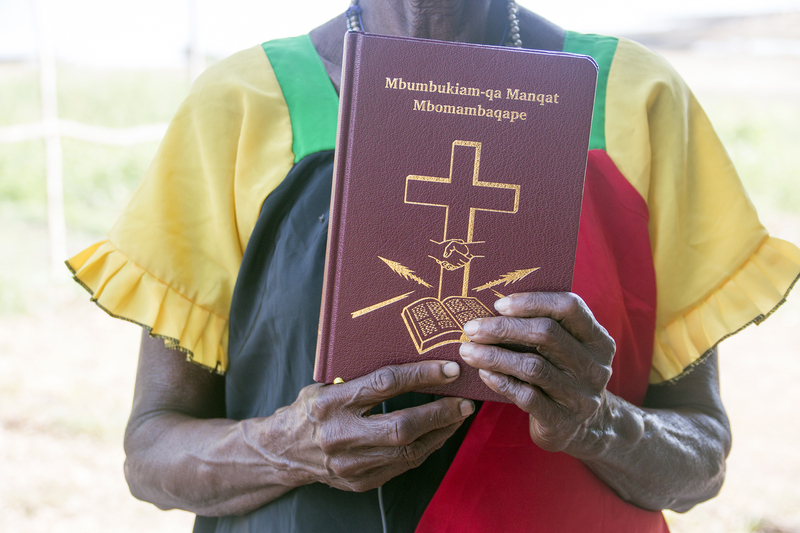 On the day of the Kuni New Testament dedication, Gesikhouwa held her copy proudly and grinned broadly, spilling joy that showed that God truly is with her.